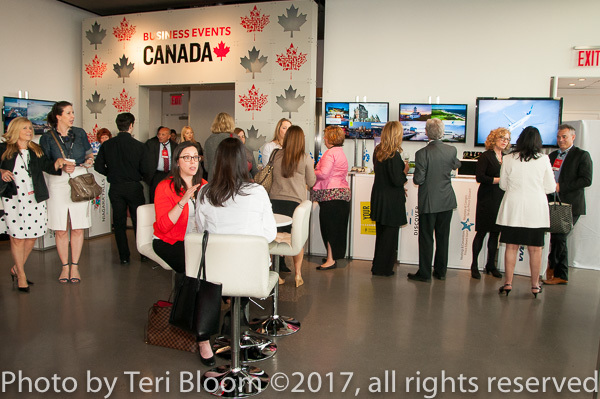 Because NY City is a hub for the corporate event business, NYC professional special event photographers often cover meetings and convention related parties for the travel and tourism industry. This photo was taken one beautiful afternoon in a space overlooking the Hudson River. Professional party and reception photographers are sure to capture photos showing the vendor booths, decor and festivities, as well as shoot nice candids of the guests and VIP folks. If you’re planning a corporate party or event in the near future, we’re happy to try to help!